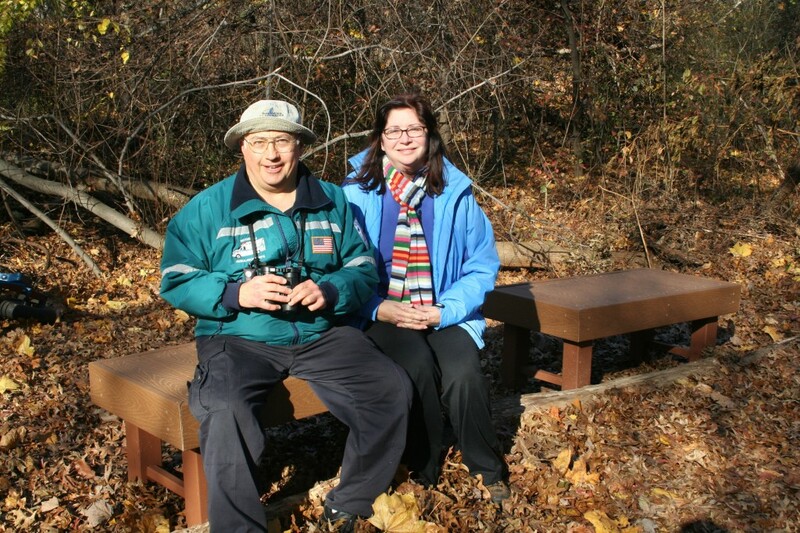 Karen and Bruce Riede are residents of Ridgefield, NJ. Bruce is a retired chemical engineer who worked at Unilever for over 30 years. During the last ten years of his employment, he was manager of Safety and Health. Currently, he is an EMT serving over 40 years with the Ridgefield Ambulance Corps. Karen worked as a registered nurse for 20 years. For the past 12 years, Karen has been a docent at the Bergen County Zoo in their Animal Encounter Program. In this program, a scheduled animal, reptile, or bird is brought to the Armenian Home in Emerson, NJ for an interactive pet therapy session with the residents. They are also actively involved in their faith community at St. John’s Lutheran Church in Jersey City, NJ. Karen has been on the Ridgefield Environmental Commission since 2004; Bruce soon followed in 2005. Karen has served as Chairperson since 2005 and credits her nursing background as being beneficial to serving in this position as she stated, “I consider it environmental nursing and that everyone deserves clean air and water”. In 1996, Karen was a weekly volunteer at the New Jersey Meadowlands Commission (NJMC). Karen and Bruce share a love and respect for the environment. The Riedes have been invaluable to the health, beauty and general well being of Skeetkill Creek Marsh Park (Skeetkill), owned by the Meadowlands Conservation Trust (MCT or the Trust) and located in Ridgefield, NJ. Skeetkill was previously owned by the NJMC; however, in 2008, NJMC donated the property to Trust. In 2004, the Ridgefield Environmental Commission sparked a revitalization of the park. It involved the stewardship of: Genzyme Biosurgery, Inc. (the company that adopted the site), the NJMC (tree swallow nest box program) and the Ridgefield Environmental Commission. While working with the NJMC, Karen found out about Meadowlands Conservation Trust and she felt that the Trust would be a great organization to partner with to do what they love best, protecting the environment. When Skeetkill was owned by the NJMC, Karen and Bruce worked with NJMC staff regularly with clean ups and the tree swallow nest box program. In 2008, the property was turned over to the Meadowlands Conservation Trust and the Riedes continued their volunteer work at Skeetkill with the Trust staff. The Riedes find volunteering for the Trust, the Environmental Commission, GeesePeace and other groups more than rewarding. They both feel it is necessary to take care of the Earth and want to make a difference in their own community and give back. The Ridgefield Environmental Commission’s motto is, “Think Globally. Act Locally”. Mrs. Riede stated, “Volunteering was always part of both of our lives when we were growing up. We met when we were both volunteers on the Ridgefield Ambulance Corps and later married. It is a large part of our lives now; some activities involve us both”. The Riedes view the environmental future as somewhat optimistic. They believe the best thing that they can do for the Borough of Ridgefield is to continue to plant trees and manage the Ridgefield Nature Center and Community Garden areas. “We will continue to get the message out, especially to school-aged students, that we can all do our part to be stewards of the Earth. Each person can make a difference”.